Just imagine, how would it feel if you no longer need to be a slave to frequent waxing, tweezing, shaving, and threading routine? Imagine, how would it feel to have baby smooth, silky skin without painstaking hair removal methods? Imagine a product that will reduce your unwanted hair permanently!! Sounds too good to be true but it is true girls – you can now enjoy freedom from excessive unwanted hair growth with this new revolutionary product – ‘Barever’. It is a 100% natural hair growth inhibitor launched in India for the first time. The product is specially designed by scientists and dermatologists to gradually restrict unwanted hair growth on face and body. Formulated with 100% natural actives derived from plants, Barever effectively works on all your body hair including arms, legs, face, back, breast, chest and other sensitive areas like lips, chin, arms pit and bikini lines. The natural ingredients of Barever make it the most safe and painless solution for restricting body hair growth and delaying your need of frequent hair removals. Barever works best in tandem with your favorite hair removal methods. After the hair removal, the follicle pores are open & barever penetrates well into the skin. The potent formula of Barever seeps into the opened pores and reduces hair growth by inhibiting the activity of hair follicle cells. Acting at the Anagen stage of active growth phase for hair follicles, Barever first slows down the formation of new hair at root level and then reduces the density and thickness of hair. It gently stops the growth of hair by naturally making them weaker, thinner and finer and as a result you get soft, silky and smoother skin for longer period. Impressive, no? Well, I was really impressed when I received this product information. And imagine my excitement when I received the actual product from the company! Being slightly on the hairy side, I am always on the lookout for products and treatments that can save me from spending endless hours on waxing and tweezing. Would rather spend that precious time on an invigorating spa treatment! Now whether Barever will fulfill my beauty dream for a hair free skin or not, only time can tell. 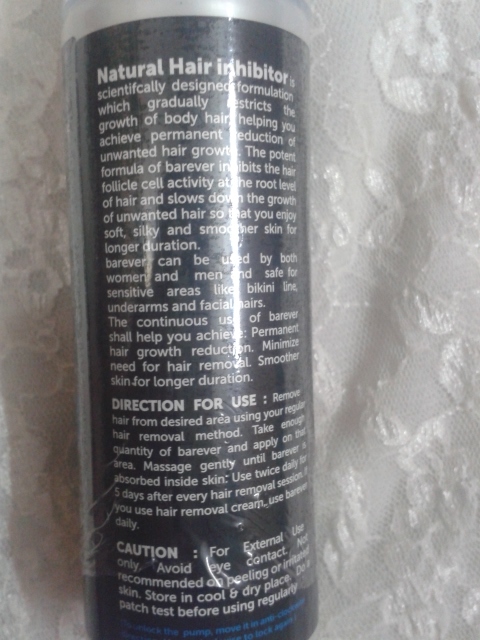 Have yet to try this natural hair growth inhibitor product for a complete review. Stay tuned for full review on Barever. PS: Have you tried any hair growth inhibiting products in the past? If yes, which ones? Do hair growth inhibitors really work? 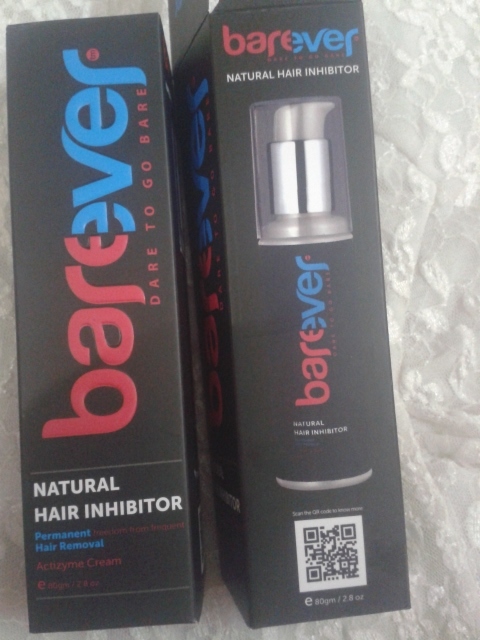 And what do you think about this natural hair growth inhibitor, Barever. Please share your thoughts in comments below. This surely sounds soooo tempting.. But I am scared of any side effects it might have..after all we are tempering with some natural ways..
Haven’t tried the product yet Nisha to comment on the side effects. But if this works, its certainly gonna be a boon for girls like me! Will let you know dear. I’m still using the product. Please wait for the final verdict. Any update? Were you able to get rid of your unwanted hairs? 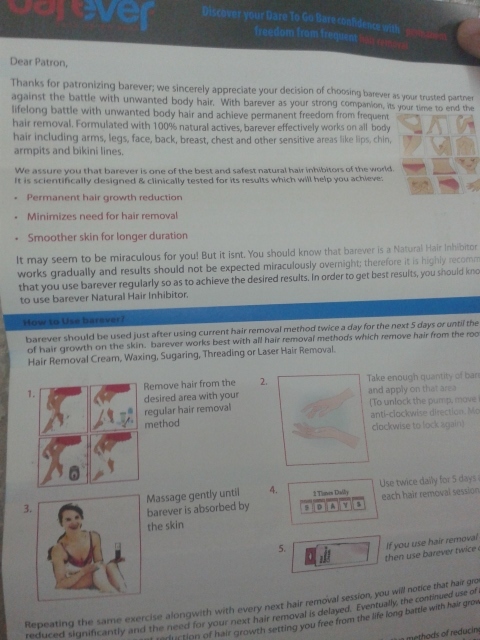 Please refer to http://road2beauty.com/2014/12/barever-natural-hair-growth-inhibitor-review/ for full review and update.